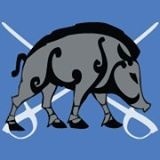 A historical swordplay school with chapters in Fife, Edinburgh, and Cheshire. This entry was posted in Cheshire, Edinburgh, Europe, Fife, Scotland, UK. Bookmark the permalink.